1Bourne, H. The insulin myth. Lancet 1953; 265: 964–8. 2Ackner, B, Harris, A, Oldham, AJ. 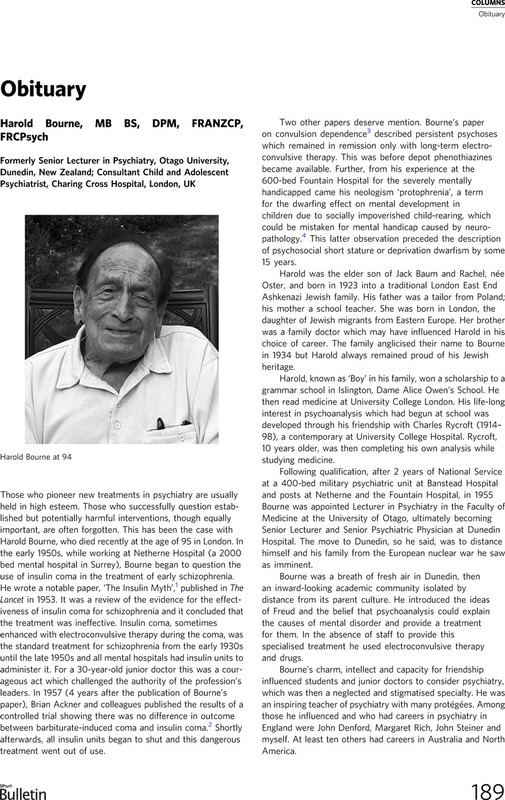 Insulin treatment of schizophrenia; a controlled study. Lancet 1957; 272: 607–11. 3Bourne, H. Convulsion dependence. Lancet 1954; 267: 1193–6. 4Bourne, H. Protophrenia: a study of perverted rearing and mental dwarfism. Lancet 1955; 267: 247.